Interior design trends are constantly on the move and shift almost as often as fashion trends. Even to the untrained eye, it’s easy to walk into a home and know what decade it was designed or inspired. It also seems that decades may no longer span 10 years. Throughout these changes, hardwood floors have been a constant feature in most designs. They’re always a positive value feature, and they’ve always lend style. However, hardwood floor styles change as well. Through wood floor stain colors, appearance, texture, home location, plank width, plank length, and unique features, the idea of a modern hardwood floor is constantly changing. Whether you’re installing a new hardwood floor or you want to refinish your existing wood floors, these are the hottest trends today. 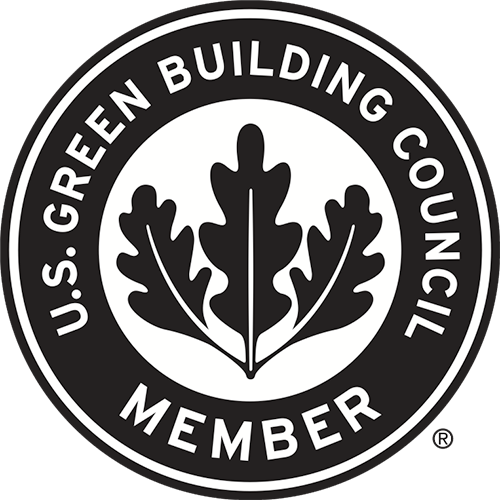 Gray has been a growing trend in hardwood floors for over five years. We see every shade of gray, from a charcoal to light heather or naturally weathered appearance. Gray wood floors are particularly helpful when you want a cooler tone. A lighter gray can also make your room appear larger, making it perfect for smaller or tighter space rooms. 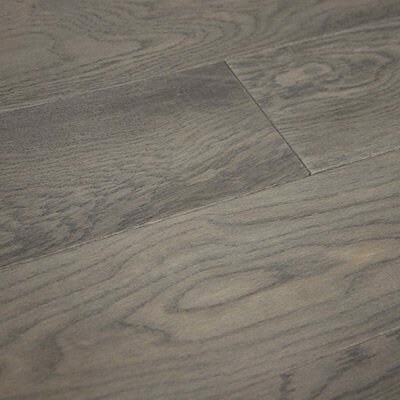 In many cases, gray on wood floors is used to create a modern rustic look. It’s become especially popular with wide-plank wood floors. 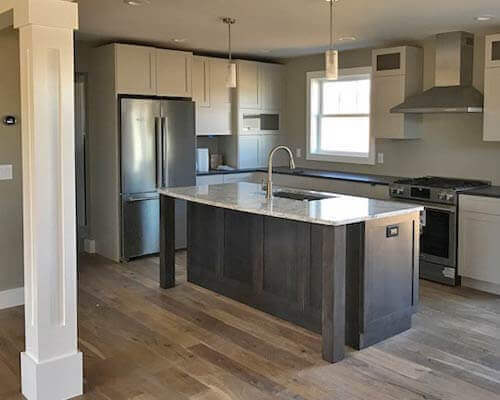 If you really want to be cutting-edge, one trend is “greige.” As you might guess, this color is a blend of gray and beige white, and it’s an airy neutral that’s become popular. 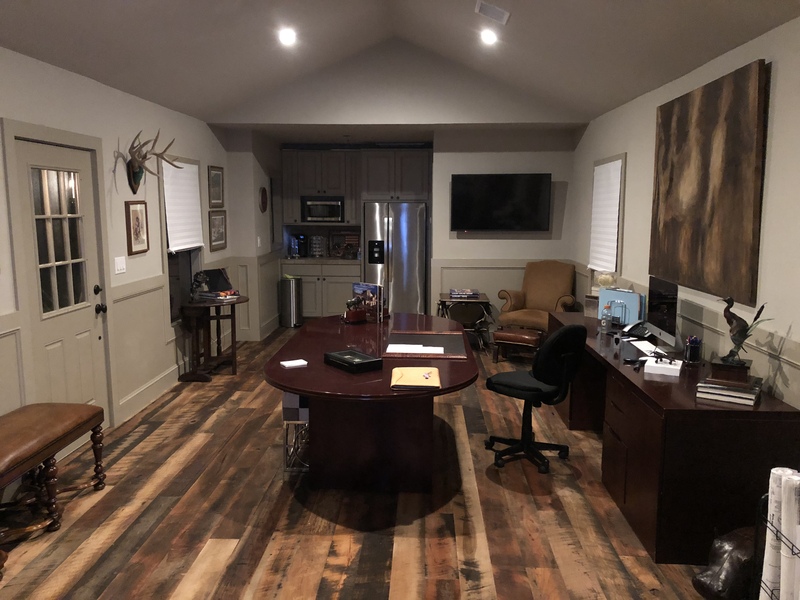 It’s a challenge to refinish existing floors in this color correctly, especially with some types of wood and grain styles. If this is your aim, be sure to hire an experienced professional. This isn’t a DIY project. Dark wood stains have been a modern style feature on hardwood for many years, but it keeps shifting ever so slightly. In the 2000s, the trend was dark wood with warmer undertones. We saw a lot of dark finished cherry wood tones and other red/brown blends. Today, however, there’s a dramatic shift toward cooler undertones. Very dark, cool stains give hardwood floors a relaxing and elegant atmosphere, to bedrooms and common living space in particular. The red browns are gone and a true brown mocha, natural walnut or even a true black tone provides the cooler tones. Be careful to pair a dark floor with a lighter wall to keep the colors true. The cooler undertones in the current trend lessen the feel of drawing walls optically closer creating a more visually open space. If you’re choosing this popular dark stain tone on your wood floor, darker floors do show greater surface wear and light dirt on your floors is more visible. Fortunately, hardwood floors are easy to maintain quickly. Design trends in the last half of the 20th century demonstrated a preference for wood and stain color consistency on hardwood floors often losing the grain and character. While some design trends still rely on consistent colors, greater variation in hardwood floors over the last 5 years has been the consumer choice. This variation is accomplished through wood specie, stain color, and texture. All woods are not the same. Species from hickory, walnut and reclaimed heart pine -to name a few provide choices that add variation through natural color and grain. Traditional oaks provide variation and texture through grade choice with white oak providing good character and a neutral palette for many stain choices. Layering of stain and finishes also provide a method to enhance variation or highlight natural character. Finally, surface textures such as wire brush and skip swan appearance can provide a more dramatic floor appearance and feel. In a similar vein to the gray and greige trends, whitewashed hardwood floors have become a sensation. This doesn’t mean using an opaque white stain. 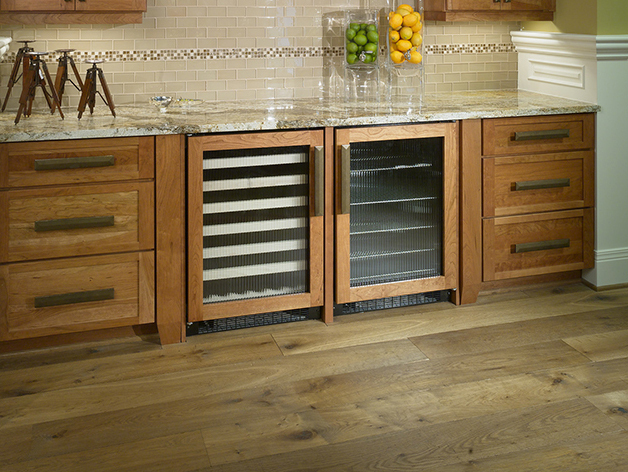 Instead, it’s a specialized process that gives your wood a whitened hue while keeping the grain visible. Actually, white pigment in the deeper grains enhances natural colors and natural or applied texture. Whitewashed appearances are especially popular in kitchens and tall ceiling rooms. The light color makes rooms appear more open compliments the look of natural light. As you search for this trend, you’ll see some articles about “DIY whitewashing.” This is not something we recommend to homeowner. The process while not overly difficult is challenging based on proper sanding and pigment and stain application to get the right coloration and consistency. It’s always best to call an experienced professional. Lighter wood floors are definitely trending and don’t always point toward modern twist like greige and whitewashing. Light natural-looking appearances are trending as well. Choosing a wood type and then enhancing the natural wood colors and tone variations works well with the move to embrace the warm and cool tones found in nature. 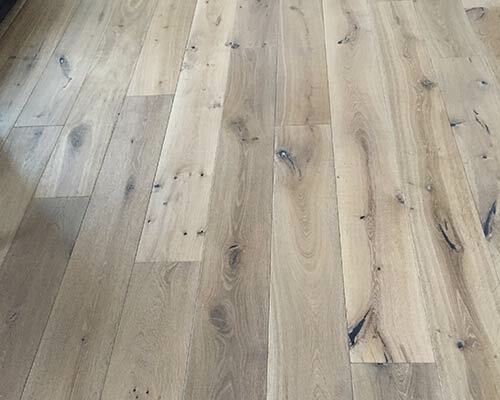 In a natural finished floor, choosing the correct finish is crucial to the design regarding its effect on the natural wood floor tones and character. This isn’t exactly a color, but it’s such a hot trend that it needs to be included. Gone are the days of glossy, high shine finishes on hardwood. Today, it’s all about a sleek satin or matte appearance. Often we refer to whether a surface finish in a low sheen is desired or whether an oil penetrating finish fits to the design as providing an almost bare or in touch with nature appearance. This is the case with all the color trends above. Some stain colors work with varied sheens, but overall, they’re all at their best if you avoid a glossy finish. Hardwood floors are one of the best assets in your home. They give you a stronger home value, and they can also be refinished when you want to change your design look or even by a future home buyer. As you can tell from the trends above, 2018-2019 is all about wood colors and textures- often on opposite color spectrums. It’s all about deciding which style works for your home and design features. 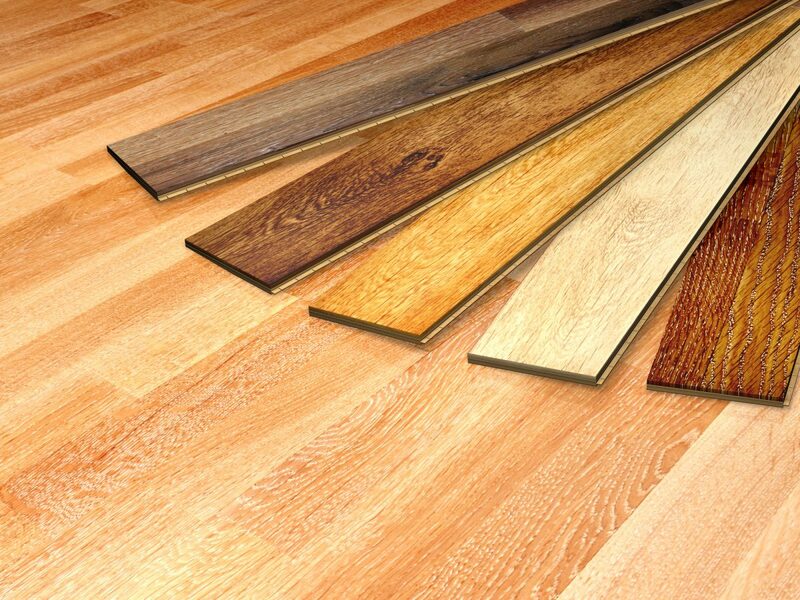 If you’re ready to get started with an updated, beautiful hardwood floor, call our flooring experts.